On top of both monitoring and then responding to reviews, marketers are constantly developing a variety of strategies so they can get ever more reviews. So, if you’re wondering how to get more customer reviews, read on. As many as 84 percent of all consumers trust the online reviews they find as much as any personal recommendations. Consumers really don’t trust any businesses that have ratings lower than 4 stars. 80 percent of all consumers say that the star ratings which they trust the most are 5, 4.5, and 4.0 stars. New reviews also matter, because research shows that 69 percent of customers generally believe reviews which are over 3 months old aren’t relevant any longer. Furthermore, 15 percent of all consumers think that the only reviews that are relevant are ones that get written in just the last 2 weeks. So, not only will getting additional reviews boost both your search engine performance and visibility, but it will also help you engender trust and make your brand more reputable in the places that customers are actively talking and looking. We all know how many people trust a business more after reading positive online reviews? 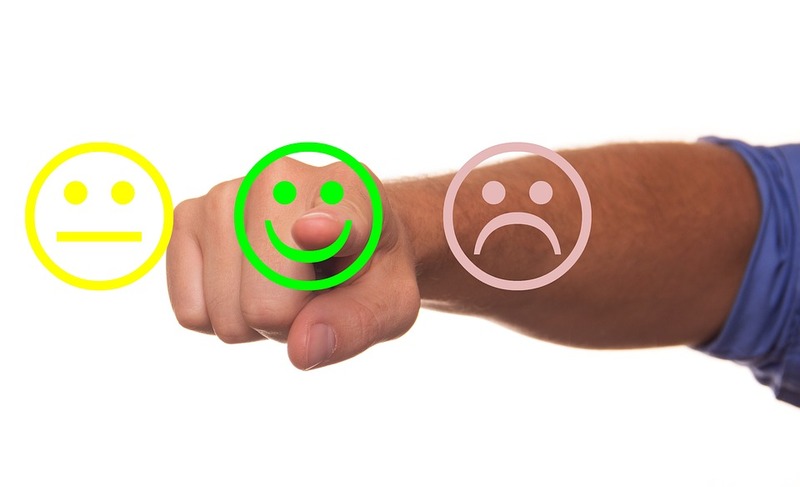 Here are some great ways to get customer reviews for your website. The most effective way you can get reviews is just to appeal to someone whom you already have a personal relationship with and then just ask them. You might be shocked to discover how many reviews you can get just by telling someone that it could really help you out if they did that for you. I’ve personally been asked by five different businesses about this outright, and in each case, writing up a review for them was the very first thing that I did once I got home. Data indicates that there’s actually real science behind asking for reviews, right down to what time of day you should ask and even how you can create a great subject line based on the industry that you are in. For instance, there is nearly a 20 percent jump in review response rates from 1 in the afternoon up until 3 p.m. This is likely because folks are getting back from lunch and checking emails at their desk before they dive back into their work. Email is a very popular and highly effective channel for any marketer wanting to get customer feedback that leads to more online reviews. It’s not that hard to get your first campaign running. Just collect the email addresses of your customers, likely at your point of care or sales. Keep your emails concise and short. When writing the messaging, make sure that you incorporate your name so that it sounds more personal. Never neglect adding in a link to the specific page where you want them to put their review. If you want to be really efficient, then look at ReviewTrackers’ Ask Tool, because it’s a great way for any business to come up with more reviews. Thanks to its powerful surveying abilities, it can let you come up with and then send out emails and text messages that get you more reviews. The tool has a feature called Smart Suggest that helps you find the specific review sites you can take advantage of to get more reviews that boost your online reputation and help your search visibility. Asking for reviews using emails can get a little bit trickier. There are going to be cases where you won’t have much, if any, face time with your customers. In such cases, your only choice might be email. If you plan on asking for reviews by email, then I firmly recommend that you do a pre-screening of your customers using an internal survey prior to following up with a second email that asks them for public reviews. This might sound like it’s cheating, but is it really any different than you would do in actual person? If somebody is obviously upset, you’re not going to ask them for a review to be posted online. In much the same way, using internal survey triggers lets you use this same understandable human logic, albeit algorithmically. If you are wondering how to encourage customers to write reviews, this could be the answer. Send your email from the email address of a real person. If you can do it from a name they recognize, like someone they actually worked with, then it’s even better. Write the email as if it is a personal request coming from that very same person. Make sure the button or link for the call to action is very clear. 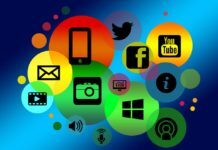 In fact, get rid of any website footer links or random social media buttons. Offering just the singular goal of the recipient clicking on the review button will boost your conversion rate. Test HTML emails versus plain-text emails. Also test out different subject lines. I’ve personally discovered that using the name of the person in the email subject line winds up working well in many instances, but it totally fails in others. Another thing to test out is different email copy in order to see which one performs the best. Like any good campaign, you need to test everything that you can until you find the very best review conversion rate that you can. Email is not likely to perform to the level of response that asking in person, but it can be pretty effective when scaled enough. If you are at odds on how to get customer reviews for your website, then this is the solution. Reviews function much like user-generated content, which makes a lot of sense since they are a kind of UGC. If you feature and then promote reviews you already have, then you’re likely to get more of them. Have you heard that it doesn’t hurt to ask? It’s true. If you are looking at how to get customer reviews on your website, this could be ideal. There are times where the only thing a customer needs is a gentle reminder for them to put up a good review. Handouts are perfect, as you can just hand it to them at the end of the transaction, explaining how you’d like to read their feedback. You might do this as a card, a slip of paper stapled to the receipt, a printed sticker, or even just some text lines printed on some product packaging. The crucial thing that you should remember is that all of your best customers are just one step away from giving your business a great review. Review request handouts can be very effective if you want to make the most of this opportunity and get customers to write online reviews. Yes, that’s right; mail postcards. There’s quite a few ways you might ask favors from your customers which are faster and cheaper, but none of them will be as effective as just sending out a personalized postcard in the snail mail. Have you considered just adding a sentence or so to each invoice that you send out? In this text, you can ask your clients to put a review about your business on whatever website they prefer. You can even put links in digital invoices? A great way to get online reviews. If you have customers who are already enrolled in some kind of digital loyalty card, like Loopy Loyalty, then sound push notifications right to their smartphones after they go to your store, where you nicely ask them to leave a review. You might even provide small incentives for them to do this, like a few stamps towards the next reward they earn. This will encourage customers to write reviews. Sometimes, being very specific can prove advantageous to you. Ask your users to put their reviews on a specific platform. You might even ask them to mention by name any employees that helped them. They can also mention just your business was helpful to them. When users know just what to write, they won’t have to put energy into thinking about what they’re going to put down, and this makes it much easier for them to do. Trying to figure out how can I improve my online reviews, this could be the answer. Facebook offers a huge opportunity and here is hwo to get reviews on a Facebook page. Facebook is a social media giant that everyone knows about where you can keep up with distant relatives and see cat videos people post. However, it’s turning out to be quite the dominant force in terms of online reviews too. One study showed that 80 percent of all consumers were more likely to spend money with a local business that had positive reviews features on their on Facebook page. Given this statistic, it actually makes sense that you should look into getting more of your own reviews on Facebook. However, you first have to turn the Review feature of your page on. Go to the top of your page and find the Settings. Click on Page Info so you can pick Local Business as the page category of your Facebook account. It should be noted that at the time of writing, the Review feature was not yet available for pages of authors, actors, and singers. You then will see options to further specify your business category, such as hotel, hospital, medical facility, cafe, restaurant, etc. The next thing that you will have to do is to add the physical location or address of your business. Once again, go into Settings before you click on Page Info. Click on Address so you can enter in the required information, before ticking the box that sits next to Show map, star ratings, and check-ins. Again, click on Save to make your changes permanent. One thing many entrepreneurs forget about is that once they get reviews, they need to actually respond to them. The best practices are replying to each of them individually and quickly after they’re posted, regardless of how positive or negative they are. When consumers and customers see you monitoring and then responding to your reviews, they are far more likely to leave you positive reviews for the services you provide. Of course, when customers leave negative reviews, those are opportunities for you to explain situations, offer apologies, and then attempt resolution of the issues represented. So, how can you go about checking for new reviews so you can get back to them promptly? It’s actually quite easy if you set up your Reviews tab as listed in the above steps. Go into Facebook Business Manager and find your company’s Facebook Page. If you used the above steps to add your Reviews tab, then you should be able to know click on the option for Reviews in the navigation menu to the left. When you click on Reviews, then you can see all reviews your company has gotten on Facebook. You can even sort them out by star ratings, most recent, and most helpful. Most recent is what you want for checking anything that needs response. Now, you should see only the most recent reviews, as well as comments that have been left other than by on reviews after they were posted. If there are reviews that you have yet to respond to, just click on the box that lets you write a comment and simply type your reply. If you’re not sure how to respond the negative reviews you get on Facebook, a quick Google search can yield plenty of useful advice. For those wondering how to get more customer reviews – take heed. Once your Facebook page is ready to get reviews, your Reviews tab is showing up, and you are responding to the reviews you have so far, what’s the next step? That would be getting more positive reviews on Facebook. If you can, email your customers. If you have their addresses handy, then send them messages about reviewing their experiences they’ve had with your business. If you do not yet have the email addresses of your customers, then you need to start gathering them in the future. They should get emails as quickly as possible after they deal with your company because the great products, services, or customer service you offer will still be fresh for them. You should always provide a link to the Facebook page your business has so everyone knows that they can look at your reviews or even list their own. Your website should also have a call to action on it. Design a banner that is attractive and eye-catching before you add it so that customers are invited to review the work of your company. Link that banner back to the Facebook page so it’s easy for consumers to give feedback on the experiences they have whenever they deal with your business. Be mindful of what everyone is posting about your business. If there are people leaving comments rather than reviews, do reply and say thank you, but also ask if they could put that feedback specifically on the Reviews tab for easier reference by future customers. This is a good way how to get reviews on a Facebook page. You need to make this process as simple as is possible. When you email customers directly or just ask them with a website call-to-action, the one most essential thing you need to do is be sure the whole thing is super easy on the customer. Offer the Facebook page link and provide clear instructions on how they can leave a review. Always thank them! Show every customer your gratitude for their feedback. Remind them all that you value them as your customer and that their collective or individual feedback means a lot to you. More customer reviews can help a site dramatically and also aid a brand’s appearance online. Here is how to increase Google business reviews in a positive way. Whether you are a huge corporation with numerous locations or you are a small, local business, online reviews play a huge role when it comes to potential customers making purchase decisions. In fact, this is the only factor some people consider. It is possible that your star rating will show up when people are performing organic searches. We have noticed that digital reviews are starting to blend with recommendations people receive from those they know. According to a study, more than 80 percent of consumers trust online reviews just as much as they do those that were from family and friends. All things considered, most people are not interested in businesses that have less than a 4-star rating. If yours is lower than this, you have a lot of work ahead of you. Here are some ideas that will increase the number of reviews you have and your overall rating. Whether you post signs at your place of business, create email campaigns or add it to the top of your home page, you have to provide your audience with many ways to remember that you have a Google presence and their reviews are important. If you have not yet set up your Google My Business listing, you should get on that today. This will ensure you show up in Google Maps and Google Search listings. If you are wondering how do I get Google customer reviews, this is the first step. Focus on making it easy for people to leave a Google review if they would like. try creating a Google Review quicklink. After completing the process, which should take no more than three minutes, you will have a unique link that will display a popup when entered. This window will let people start writing a review right away. This is extremely useful. The fact that people will have so little work to do will give them all the encouragement they need to start writing. 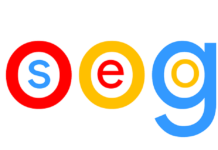 Get rid of the Google Plus icon No one really cares about these anymore. You should eliminate it and replace it with the link you created for Google reviews. Reach out to people who have posted positive reviews about your business on Facebook. 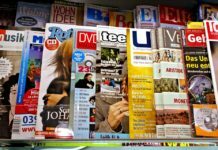 Yelp and other popular sites. This may sound like something that goes against the rules, but it is a perfectly legitimate way to garner new reviews. Ask current customers to write reviews of your business. Despite the popular misconception that has been going around for years, businesses are allowed to ask customers to write reviews. Even so, Yelp insists that this is a violation of their terms of service. The reality is that you can do this as long as you are not offering any type of compensation in exchange for their feedback. This is never acceptable. If Yelp finds out you are doing this, there will be consequences. More than 70% of customers will have no problem leaving a review is one is requested, so stop being shy and start asking around. Reaching out to customers directly or indirectly can increase the number of reviews you business will have on the Web. There are more than 200 ranking factors used in Google’s search engine algorithm and around 13% of that relies on online reviews. Do not ignore negative reviews. You should use this as an opportunity to teach something new to your staff. Audit all of the reviews you have received on the Internet and focus on any themes that are present. Make sure to share your insights with your employees. If you begin making changes based on user feedback, you will notice an improvement in your positive reviews in the future. So pay attention when people complain about hidden fees, excessive wait time and being disappointed by the quality of your products. Research shows that responding to negative reviews is another way to boost your rating; reading them is not enough. The more you communicate with customers, the more they will respect your brand, especially when you focus on making things right. Others will feel encouraged to write feedback in the future. Create a Google review link on your own. One of the best ways to boost your company’s ranking in search results and help your reputation is to get more reviews. A great way to do this is to create a Google review link. You will have to use the Google Place API to create a link to a page where people can discuss their experiences with your company. Let people know that you are on Yelp. Instead of saying, “Write a Yelp review for me,” you can say, “Come and check out our Yelp Page.” The first one is a direct solicitation while the second is not. They may seem like they are the same, but they aren’t. Display a Yelp badge on your site. There are several badges that Yelp offers for site owners. If you click them they lead straight to your business page. All you need to do is add the HTML code from the badge you want to your website. Keep in mind that review counts and averages are updated in real time. Place a sign that says “Find us on Yelp” inside your business. You can create your own or create one using a simple form. Show off your “People Love Us on Yelp” status. This is a program where the founders of Yelp offer a sticker and a letter commending a business for having a solid history and rating. 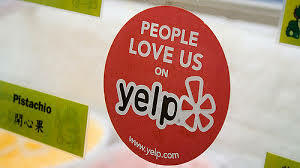 They are mailed twice yearly to all businesses that qualify.Not only should you add the sticker to your window, but Yelp encourages business owners to frame the commendation and hanging it in a conspicuous place, like right behind the register or near the front counter. Share reviews on your social media accounts You can share reviews on sites like Facebook and Twitter if you log into your Yelp business account and hit the Reviews tab. It may benefit you to add one or two negative reviews as long as you mention what you have done to address the issues the customers had. If all of your reviews are positive, people may have some skepticism. – Do not take things out of context. For instance, don’t use a positive line from a review that is negative. – Do not delete or substitute any words used by the reviewer. – Only use reviews that are recommended by Yelp. – Get permission and let people know who the author is. – Attribute Yelp as the source. Remain active in responding to reviews. It is a little complex to figure out how to gain more reviews on sites where requesting them is looked down upon. 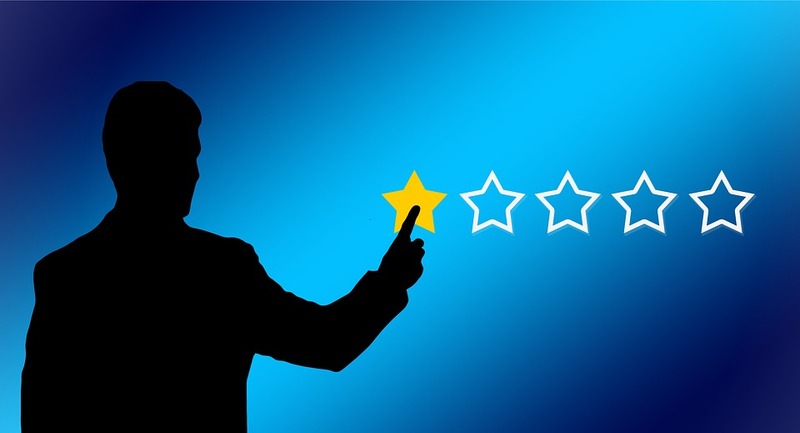 According to a study conducted by Harvard Business Review, businesses who respond to existing reviews tend to boost their new feedback by 12 percent. Responding regularly can also lead to an increase in ratings. Automate the reputation management efforts. Use software that was created for this purpose. This will make it easier for customers to leave feedback if they wish to do so. If you own an e-commerce business, there are many software programs available that will automate the process of acquiring reviews. You need to start using one of them soon before you get so far behind your competitors that there will be no way to catch up. There are countless plugins you can use to promote your business, and some of them will help increase your review count. The Facebook Reviews plugin for WordPress and Smash Balloon are two examples. There are also some tools that you can use to show off your Linkedin recommendations. These plugins make it easy for customers to head to your site to view the recommendations. Add a great CTA to this and you will see things get better faster than ever. In today’s technology driven world, it is hard to tell whether reviews and testimonials are from real people. With that said, people are more likely to trust a video review. It is ideal since people are able to see emotion, which is difficult if not impossible to convey with text and images. Keep in mind that many buyers use emotions to make purchase decisions after trying to find a logical reason to justify the purchase. Every company should have a video station, even if it is as simple as a cell phone with a nice camera. If you have a business on the Web, a cheap way to record videos directly on your site is Vidrack. Once you have video reviews, use ads on YouTube and Facebook to market them and embed them on numerous pages of your site. All of these things will help you on your quest and showcase how to get more customer reviews. If you need help with your reputation management – why not contact us – we’d love to help.